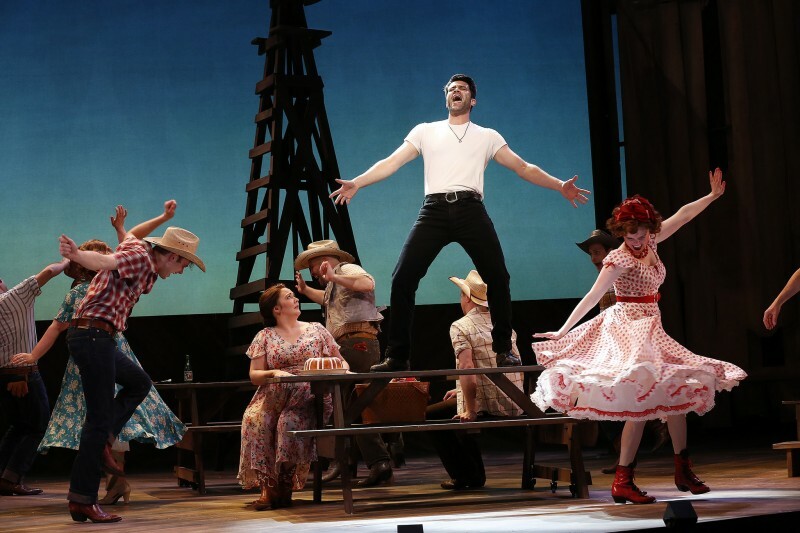 They say it’s a play about confidence and courtship, that it evokes Americana, that it makes a point about dreams and their impact on our lives. 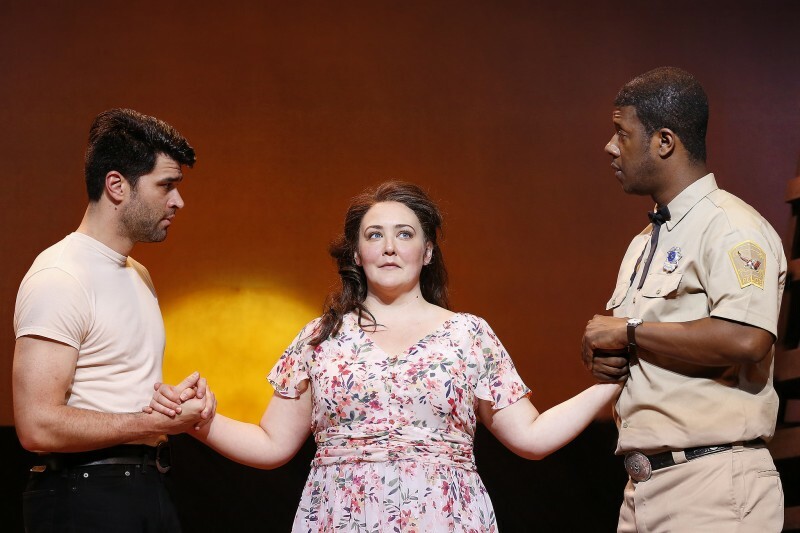 Those weren’t exactly my takeaways from 110 In the Shade, a new musical based on N. Richard Nash’s play The Rainmaker, now on stage at Ford’s Theatre. It’s the 1950s in Texas and a heatwave/draught has everyone a little off their rocker. Perhaps that’s why the townspeople give even half an ear to “Rainmaker” swindler Starbuck (Ben Crawford), a charming stranger, when he saunters into town claiming he can fix their problems. Draught, of course, is the pressing issue. But everyone seems to be equally obsessed with the love life of one Lizzie Curry — an apparently headstrong single gal who’s been having a heck of a time finding a husband. Perhaps because its now 2016 and the idea of being a strong single woman without a man isn’t taboo, or perhaps because we’re willing to look a little farther for love than our own town… or the town or two down the train tracks, Lizzie’s family’s urgency to marry her off (or give her “at least a few moments of happiness” as her Father later advocates in earnest) is disconcerting. Sure it was another time, and a small town, but even in a modern age where courtship tends to mean virtually nothing anymore, Lizzie’s options between a smooth talking lonely swindler and an aloof bachelor could hardly be described as romantic love affairs. Though we’ll admit Lizzie (Tracey Lynn Olivera) gives her all to make us believe she’d be swept up in either pursuit. 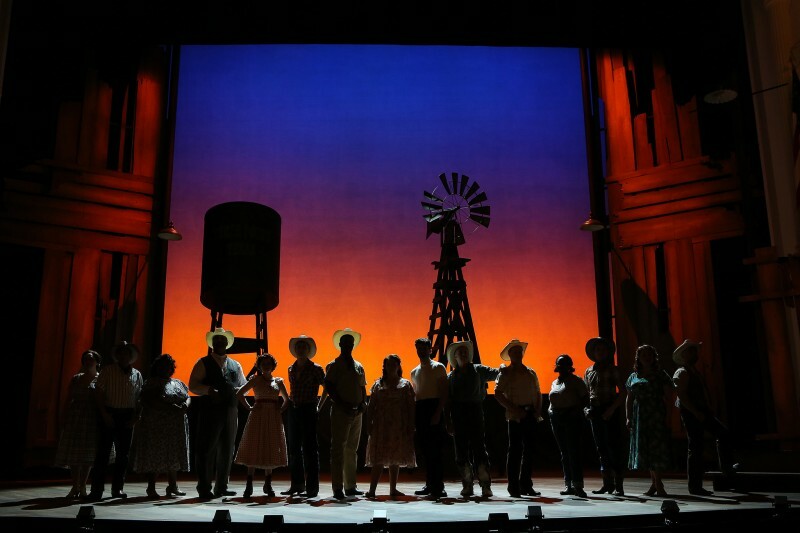 110 in the Shade runs at Ford’s Theatre through May 14, 2016. 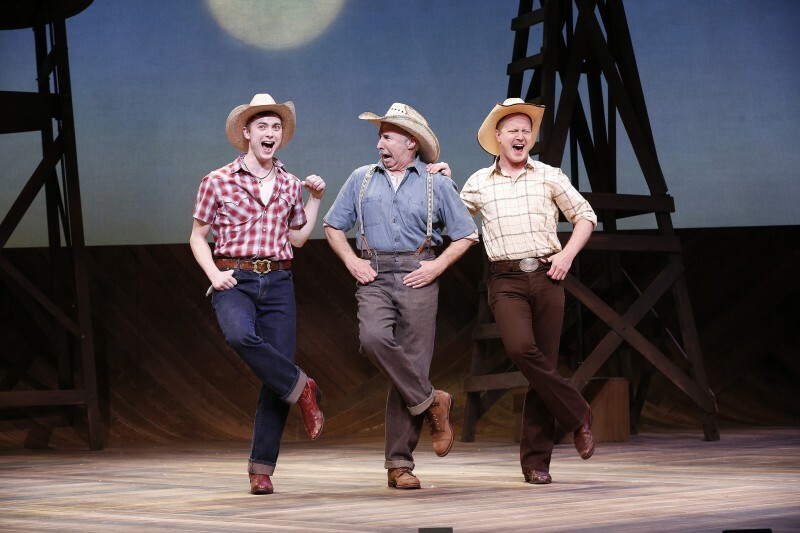 TO DO THIS WEEK: Catch The Guard at Ford’s Theater Before It’s Gone! Next Post: Two Baby Bald Eaglets!